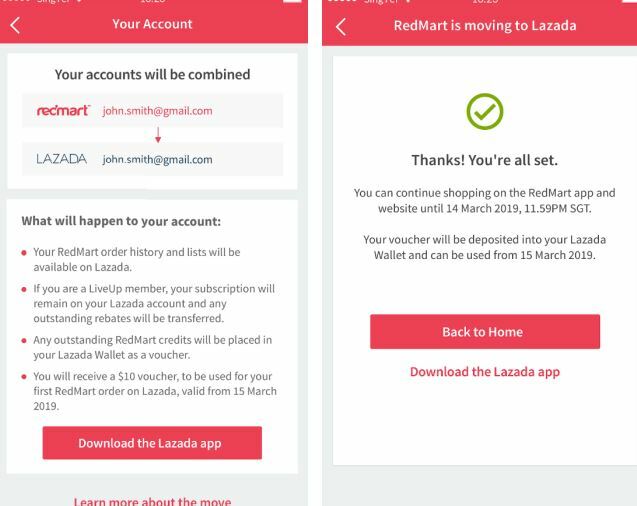 If you're an existing user of Redmart, you can say goodbye to the grocery shopping app and website by March 15 this year. According to a statement by Lazada Group, the homegrown online grocer will be integrating its app and website with the Lazada platform, meaning shoppers will be able to buy groceries and fresh produce, along with Lazada's other products and cart out their purchases all at once. Alibaba-backed Lazada acquired online grocer RedMart in 2016. With the integration, Lazada’s grocery and supermarket will now boast more than 165,000 products, the largest assortment yet offered by any grocer in Singapore, said the group in a statement. Its new grocery push signifies the platform's ambitions to unlock the vast potential in the online grocery shopping sector, said Jing Yin, co-president of Lazada Group. “We want to drive the evolution of grocery shopping in the region...to transform the way customers get their daily essentials and fresh produce,” said Yin. Elsewhere in the region, Lazada is also looking to launch its grocery and supermarket business in at least one other city from the second half of 2019, although it did not mention which city. The grocery market in Southeast Asia is expected to be worth US$309 billion (S$416 billion) by 2021, with shoppers filling their baskets online more than twice a month. In Singapore, seven in 10 people who buy their groceries online already do so on RedMart, the statement added. The new RedMart will feature similar design, tools and functions as the existing RedMart App and website. Users can expect the same shopping experience – from browsing to the ordering process. Besides being able to complete their transactions from other Lazada stores at the same time, users will also have more payment options, such as the Lazada Wallet. RedMart's co-founder Roger Egan has been appointed Lazada Group Head of Supermarket. 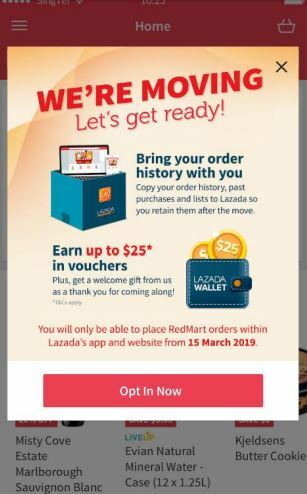 Said Egan: “RedMart’s move onto Lazada is just the first step in our ongoing journey to be a game changer in the online grocery market, and become the region’s most trusted supermarket and ecommerce platform as customers increasingly shop online." So far, Redmart shoppers AsiaOne spoke to have yet to receive any notification on the impending integration. 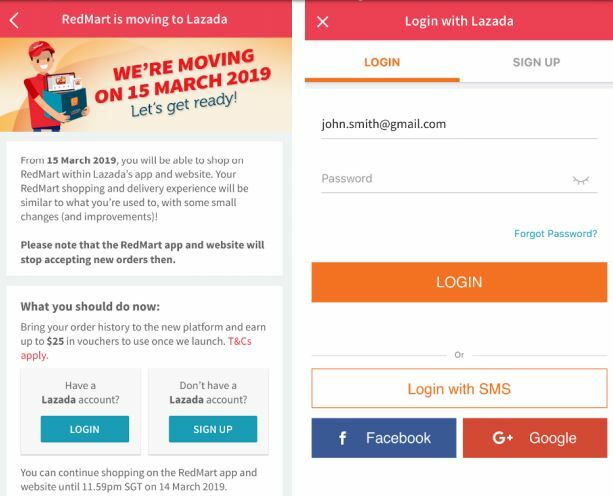 But according to the statement, users may opt-in to migrate their RedMart accounts to Lazada before March 15 on the Redmart app, before logging into or signing up for the Lazada app.